A large number of applications were submitted to the open call. In the process of evaluation one artists was selected to the programme: Seon Kyung Son 손선경. We are grateful to all the artists for their involvement and effort, and we hope we will have a chance to work together in the future. 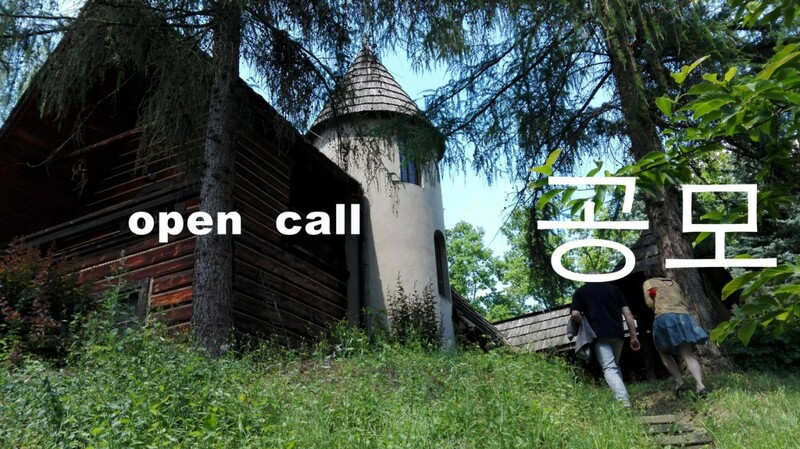 Tadeusz Kantor Foundation and Arts Council Korea are announcing an open call for South-Korean artists for an autumn Artists in Residence programme in Tadeusz Kantor House in Hucisko. The residency programme is centered around a stay at Tadeusz Kantor house, located in a countryside area near the city of Kraków, in Poland. The house is a unique place created and designed by the artist himself in the early 1980s and deeply rooted in his aesthetics. Now, after the artist’s death, it servers both as a memorial and a place for artistic creation. We are inviting artists of different fields to work on their projects in the House, using the occasion for focused and uninterrupted work. The residency in Kantor house in Hucisko shall be a time for the artists to develop their work, get inspired and realise ideas. Our goal is to search for artists of different fields and with wide artistic approach, to work in atmosphere of independency and free expression. We’re offering space and time in inspirational interior and exterior of Kantor’s House. So far we held residencies from German, Greek, Canadian, Swedish, Belgian, US and Polish visual artists, art critics and Kantor researchers, polish art galleries, VR artists and many other creators from Europe. The application is open for South-Korean artists exclusively. All fields of artistic activity are welcome, but the main focus of the programme is the visual art. The application is open also for individual artists, researchers, writers and curators. The residency duration shall be around 3-4 weeks, between early August and early September 2018. Final dates will be set in direct contact with the selected artist. The venue of the residency is Tadeusz Kantor house in town called Hucisko. The house is a mid-size place, located in a rural area, surrounded mostly by forests, around 40 minutes drive from the city of Kraków. During the residency visits to Kraków will be available, to visit the Cricoteka – Tadeusz Kantor Museum archives, as well as for other meetings. The residency in project-focused. We accept both new projects and projects already under development, on different stages of the process. The subject of the projects is not limited to the issues rooted in Tadeusz Kantor’s work. At the end of the residency, proposed project should be presented in Hucisko – either finished or work in progress, in an open event. The residency house in Hucisko will provide an individual single bedroom for the selected artist. The artist in the residency will most probably meet another artist in the residency during his stay, as some of the residencies overlap. The programme is supported by Arts Council Korea. Due to that the grantee has to get the grant for traveling through a grant distribution system ‘e나라도움’ in Korea. It means the grantee has to have a Korean bank account. information explaining the artist’s interest in participating in the residency, and information regarding the proposed project. Format of the application is open, but we prefer PDF files, with links to external media data (such as video or sound). One artist will be selected until May 11th. All applicants will be informed about the results. Tadeusz Kantor (6 April 1915 – 8 December 1990) was a Polish painter, happening and conceptual artist, assemblage artist, set designer and theatre director. Creator of the Cricot 2 theatre. Kantor is renowned for his revolutionary theatrical performances in Poland and abroad. His famous works include such works as: in visual arts – Multipart (conceptual painting), different series of emballages (both paintings, objects and happenings), Panoramic Sea Happening, Impossible Monuments series. In theatre – The Dead Class, Wielopole Wielopole, Let the Artists Die. Tadeusz Kantor Foundation was established in 1994 after the artist had passed away. The goal of the Foundation is to preserve and promote his artistic achievements along with supporting new artistic and research activities undertaken as an emanation of artistic and intellectual freedom. The Foundation has been protecting Tadeusz Kantor’s artistic heritage, artwork, archivements and other documents describing his life and art. It holds exhibitions, carries out research projects, maintains an archive of the artist and publishes books on Kantor’s artwork. The Foundation manages the Tadeusz Kantor and Maria Stangret House in Hucisko near Kraków which occupies the house designed and built by Kantor himself. It is the only place that is closely connected to Kantor’s artwork and has not been altered over the years. A piece of art in its own right, it is currently used as an unique place to hold exhibitions and to develop new artistic practices by contemporary artists. Ever since the Foundation was created in 1994 it has accomplished numerous projects in various cities and countries. For instance, in 1995 it erected one of Kantor’s „Impossible Monuments” – a monument of a Chair, done in concrete near Kantor’s house in Hucisko. The unveiling of the monument took place during a conference dedicated to Kantor’s art. In 2000 the Foundation also presented many projects as part of the European Capital of Culture – Krakow 2000 celebrations. Moreover, the Foundation published books on Tadeusz Kantor’s artwork and Maria Stangret’s memoirs. In recent years the Foundation has rolled out an artistic residence program (A-i-R) for contemporary artists. Its goal is to support the next generation of artists and researchers in their artistic and scientific explorations. The residence program is centered around a stay at Kantor’s House in Hucisko, but it is not limited with respect to the location and the period of stay. It is focused on creating new works and inspiring intellectual exchange. Arts Council Korea aims to enrich the lives of Koreans by increasing the accessibility to arts and cultural activities as well as making the arts a part of their lives. ARKO builds strong platform to support artistic endeavors of diverse disciplines: Literature, Visual Arts, Theatre, Dance, Music and Traditional Arts by increasing funding opportunities for artists and arts organizations; increasing the accessibility to arts for the public; and promoting dynamic international arts and cultural exchanges.